What did Goldman Sachs get in exchange for paying Hillary Clinton $200,000 an hour? This article is from the Washington Free Beacon. “Will you release the transcript of your paid speeches at Goldman Sachs?” a reporter from the Intercept asked Clinton at a campaign event, referring to the $675,000 she has earned in speaking fees from the bank. “Hi! So glad to see you!” Clinton said. “Is that a no?” the reporter persisted. “I am so happy to see you,” Clinton said. 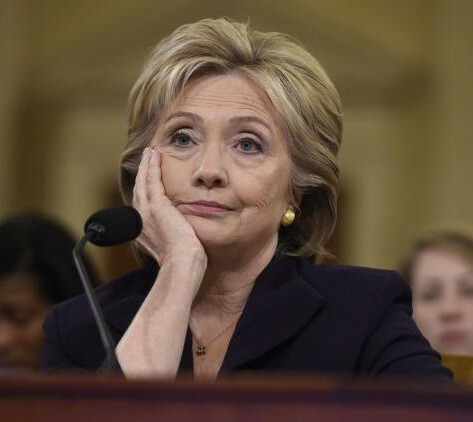 “Secretary Clinton, will you release the transcript of your Goldman Sachs speeches?” the reporter said again. Clinton ignored him. You might remember that Clinton often talks about how she is “dead broke”. Is she really “dead broke”? Disclosure forms filed with the Federal Election Commission by Hillary Clinton provide fascinating details of the remarkable money-making machine that is the once-and-possibly-future first couple. Between January 2014 and the filing of the forms on May 15, 2015 (up to and including a speech by Bill Clinton to the American Institute of Architects the day before the filing), the Clintons made about $30 million, approximately $25 million from speeches alone. 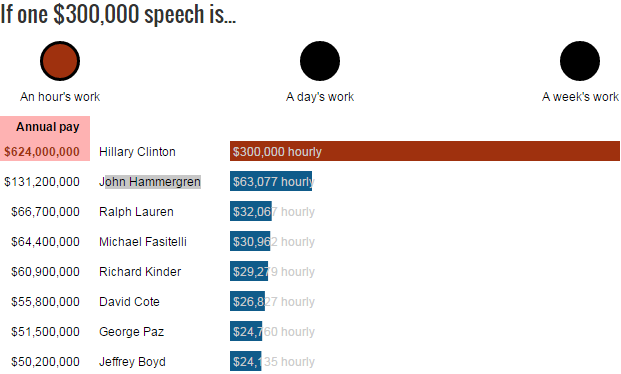 […]Although the audiences for the Clintons vary widely, the actual content and duration of the speeches is not always revealed. However, a YouTube video of Bill Clinton’s recent speech to the American Institute of Architects, apparently recorded by an attendee, shows that the $250,000 fee paid to Mr. Clinton purchased the group a 23 minute speech, an hourly rate of about $652,000. On a per-hour basis, she makes more than all of the CEOs of the largest companies. Well, maybe not more than Donald Trump, though. New York values. 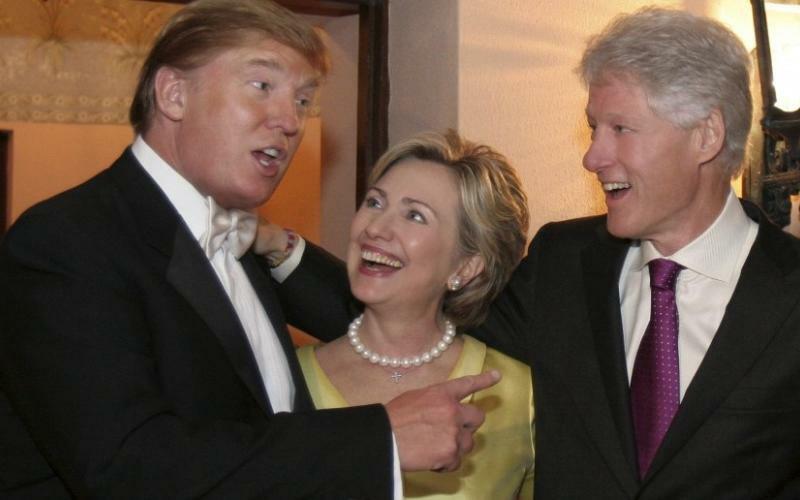 Actually, Donald Trump donated at least $100,000 to the Clinton Foundation, so maybe he can tell us what people get for giving the Clinton’s exorbitant sums of money. Meanwhile, Ted Cruz had to liquidate assets and take out loans against his investments in order to run for Senate. Which of these people is more like you and I? Previous PostWilliam Lane Craig lectures on naturalism at the University of St. AndrewsNext PostWhere did Rubio, Cruz and Trump stand on amnesty before running for President?